Ken Achs’ involvement in drag racing started in the early 1960s first as a member of the Draggins Rod and Custom Car Club in Saskatoon and at Lincoln Park in Calgary, Alberta, behind the wheel of a 1940 Ford Coupe with a Buick motor. After attending the University of Saskatchewan, he opened Saskatoon’s first speed shop, “Mid-West Automotive” in the spring of 1964. 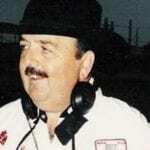 In the following years, Ken built a Chev-powered c/gas dragster which he raced in Calgary, Edmonton and in Winnipeg. This was the first race car to go down the newly-constructed Saskatoon Southwinds Raceway in 1966, now known as Saskatchewan International Raceway (SIR). In 1967, he bought his first Top Fuel dragster which he raced in the Prairies. In 1968, he upgraded to a 190” wheel base, front engine dragster that he converted from a Ford Cammer to a 354-Chrysler. With the help of his crew, Ralph Weflen and Doug Feltham, he won numerous races across the prairies and ran this car consistently in the high 6-second range at 221 MPH on 60% nitro, while setting low ET and top MPH at the CanAM Nationals in Winnipeg. In 1969, Ken bought a 426-Chrysler-powered Dodge Challenger Funny Car which was sponsored by the Black Sheep Boutique of Alberta. He raced this car for three years in Southern California, Oregon, Washington, Alberta and Saskatoon, racing in the high 6-second range at 215 MPH. At the time, Ken was the only Canadian driver holding both NHRA Top Fuel and Funny Car licences. Due to the demands of his business, Ken sold all of his race cars in 1973, with his last runs being in the 6-second range and at top speeds of 224 MPH. 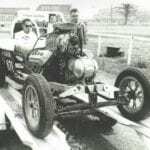 In 2000, he was able to track down his 1967 Top Fuel dragster restoring it to its original condition, winning numerous awards for its restoration. 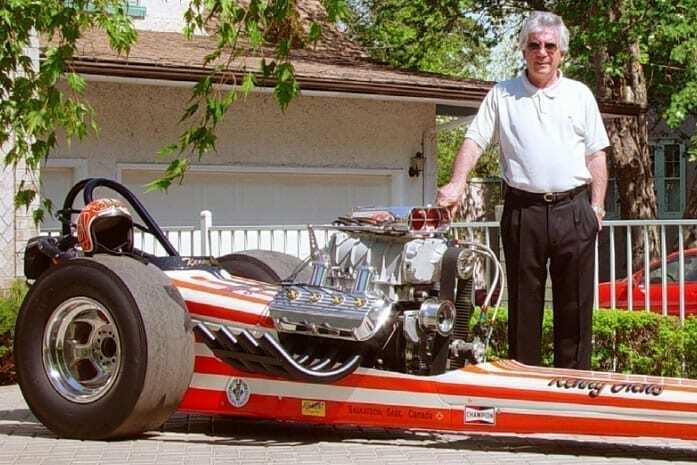 The dragster was donated to the Canadian Motorsport Hall of Fame as a way to thank the “Sport” for all it gave him and to preserve the memory of his significant contributions to the sport in Western Canada. This dragster now resides on loan at the Canadian Drag Racing Hall of Fame in Montreal. Ken’s growing business interests forced him to curtail his activities in racing but he maintains an interest in drag racing keeping abreast of the sport through his many lifelong racing friends. Today, Ken is a leading real estate developer in Western Canada and the Western United States and is currently President and CEO of the Mid-West Group of Companies in Saskatoon. His successes in the world of drag racing also followed him within his business ventures where he has won numerous awards for his restoration of heritage properties. When asked about his racing accomplishments, Ken modestly says he does not consider himself a world class drag racer, but rather a very fortunate race fan who happened to live at a time when going 200 MPH was an attainable dream for a weekend racer.